As importers and distributors with over 20 years experience of selling and installing CCTV systems, we specialise in supplying systems directly to you and your business. We have numerous CCTV cameras and CCTV technologies on display in our demo room, we also have large grounds in which you can see the cameras operate in different environments. You're welcome to come visit and look at the latest systems and talk to a member of our professional and knowledgeable team for advice. 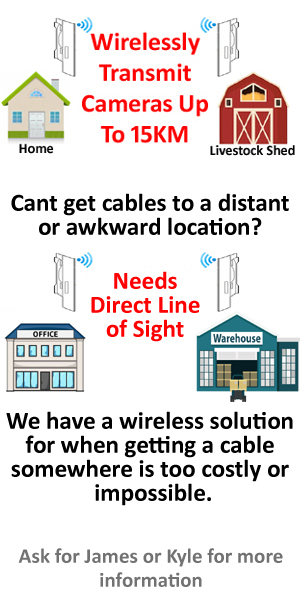 We specialise in the design and prebuild of CCTV security systems, from two cameras up to much bigger complex systems with multiple cameras, allowing us to offer solutions to homes, business, agricultural setups and working from plans and scaled drawings designing much larger, complex, commercial and industrial systems. We have varieties in CCTV technologies from 2MP or 5MP TVI, AHD & CVI systems to 5MP Analytic IP Systems, 4K CCTV Analytic IP Systems and facial recognition cameras. Our long-standing relationships with our suppliers allow us to directly influence product design, specification and to manage quality control of our products. We're proactive in testing the next generation of recorders and cameras so you get the very best from the technologies available. Our showroom is somewhere you can physically see what to expect from our security systems and ask us what CCTV equipment would suit you best. We hold large volumes of stock so even if your requirements are quite considerable, a commercial or industrial system for instance, you could more than likely take the equipment away the same day! Located in North Yorkshire, an hour south of Newcastle and an hour north of Leeds, we are ideally placed to provide local services to Darlington, Middlesbrough and Durham. 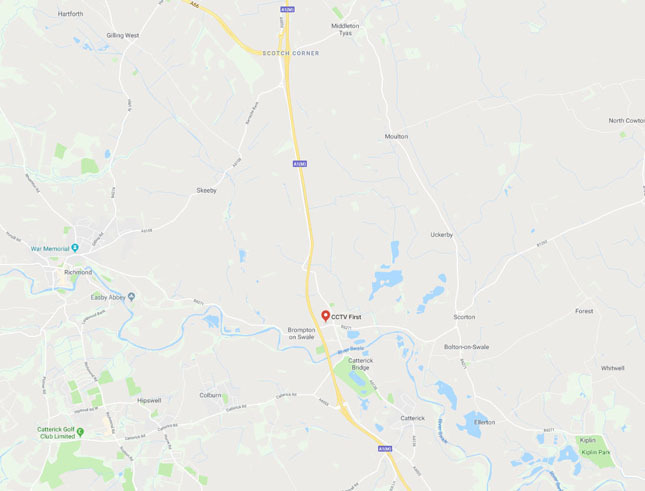 We are located just off the A1 around 5 minutes drive south of Scotch Corner.